NEW GUIDE: Adafruit Class Library for Windows IoT Core #AdafruitLearningSystem « Adafruit Industries – Makers, hackers, artists, designers and engineers! Windows IoT Drivers for Adafruit Products! The Adafruit Class Library is a special library package containing Windows IoT Core driver software for a variety of Adafruit products. To use the library, you must add a reference to it in your project. 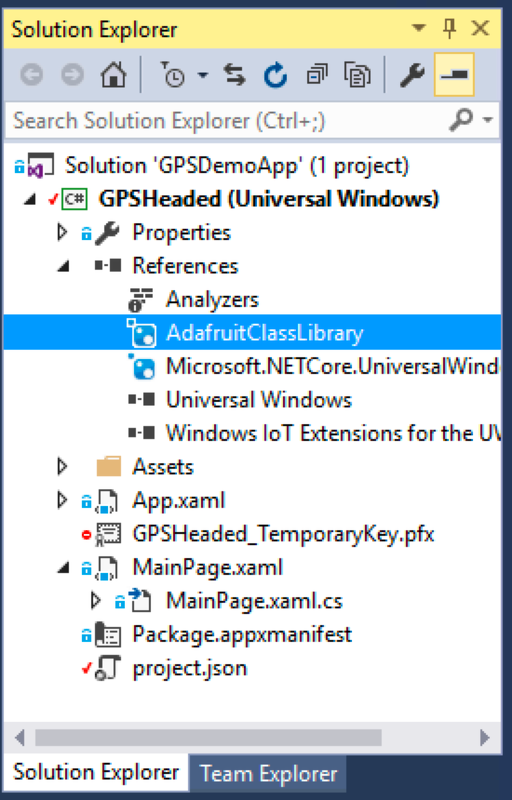 To add the reference to the Adafruit Class Library, you’ll need to use the NuGet Package Manager, which is a standard part of Visual Studio.